Palo Alto, CA, USA - March 22, 2018 - deepsense.ai today announced it has joined the NVIDIA Service Delivery Partner Program as a preferred partner in deep learning professional services, ready to play a critical role in helping NVIDIA customers grow and succeed as AI computing spreads across industries. Sink or Swim: How AI Can Help First Responders Improve Decision Making. • The company joins the prestigious NVIDIA Service Delivery Partner program as one of a handful of preferred partners worldwide providing professional services in deep learning. deepsense.ai today announced it has joined the NVIDIA Service Delivery Partner Program as a preferred partner in deep learning professional services, ready to play a critical role in helping NVIDIA customers grow and succeed as AI computing spreads across industries. 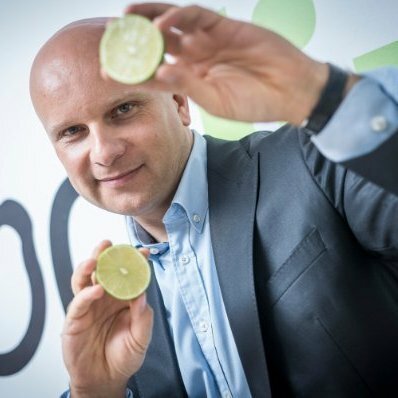 Tomasz Kulakowski, Chief Executive Officer & President of the Management Board at CodiLime, deepsense.ai CEO and co-founder. Tomasz Kułakowski, deepsense.ai CEO, emphasizes the importance of this partnership. deepsense.ai has experience in delivering both research and commercial data science projects based on machine learning, deep learning and reinforcement learning. Big Blue Touts Partnership with NVIDIA at IBM Think. Emphasizing the key role GPUs will play as businesses race to turn raw data into intelligence, IBM invited NVIDIA CEO Jensen Huang to appear on stage Tuesday at its massive Think conference, in Las Vegas. Using GPUs, IBM is able to use fewer machines to harness data 46x faster on a key benchmark, John Kelly, IBM’s senior vice president of cognitive solutions and IBM Research, said at the gathering of more than 40,000 technologists, consultants, developers and business leaders. The solutions designed by the company include various prediction models for customer analytics, recommendation systems, predictive maintenance, image processing models such as defect detection, product recognition, brand visibility analysis, satellite and drone imagery analytics, as well as reinforcement learning-based vehicle automation and artificial limbs control. Testing, Testing: How VR Can Spin the Odometer Forward for Simulated Self-Driving Cars. The company also supports organizations in long-term building of data science capabilities in-house by providing them with comprehensive tailored training tracks for technical teams and managers. What’s the Difference Between Ray Tracing and Rasterization? deepsense.ai is made up of 200 specialists, including over 45 award-winning data scientists, and works with global market leaders in the United States and Latin America, Europe, Asia. Craig Weinstein, Vice President, America's Partner Organization, NVIDIA. “AI is transforming every industry and having deepsense.ai as a member of our NVIDIA Service Delivery Partner program within the deep learning competency will help customers build their capabilities to take advantage of this opportunity,” said Craig Weinstein, VP of the Americas Partner Organization at NVIDIA. 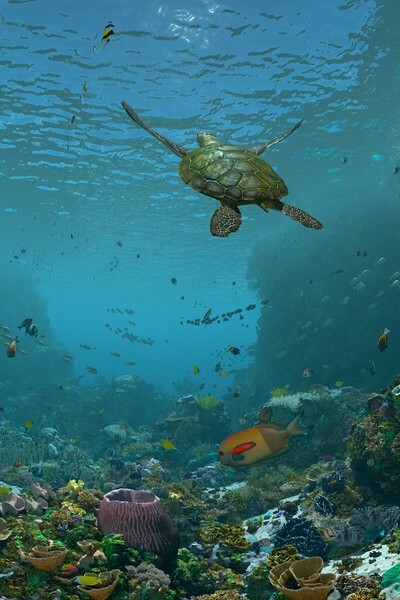 A sea turtle swims above a colorful coral reef in the California Academy of Sciences’ GPU-powered 3D experience. deepsense.ai supports organizations in unlocking their data potential at all stages of data science maturity. The company delivers AI-based solutions and helps clients grow data science skills in-house under the Training & Development Hub. The company has developed two products for data scientists: Neptune, a Machine Learning Lab, and Seahorse, a visual framework powered by Apache Spark. deepsense.ai is founded and managed by CodiLime, an IT consulting and software engineering company providing professional services for global clients in three core areas: Networks, Security and Big Data & Data Science.